A message of God: What are you worried about, if it is the full truth which has been revealed? This is the reason that not everything has been written down. Read or listen to the entire message. Hello, welcome! In the late afternoon on March 2nd, 2016, the angel of the Lord brought on the following message to Benjamin Cousijnsen, end-time Prophet of the last days, in the name of Yeshua HaMashiach, Jesus Christ. Verily, I speak in metaphors. Genesis 6, verse 11 and 12 The earth was corrupt before God, and the earth was filled with violence. God saw the earth, and saw that it was corrupt, for all flesh had corrupted their way on the earth. And verse 5 and 6 The LORD saw that the wickedness of man was great in the earth, and that every imagination of the thoughts of his heart was only evil continually. The LORD was sorry that he had made man on the earth, and it grieved him in his heart. Verily, kadosh, holy is Yeshua HaMashiach, Jesus Christ of Nazareth! Fear not, stand firm! Have I, the Lord, the God of Abraham, Isaac and Jacob, and Benjamin, not spoken to you, and saved and blessed many? Have you not seen that there are still angels being sent forth, in order to show you new works, which must shortly come to pass? 2 Timothy 3, verse 1 But know this, that in the last days, grievous times will come. And 2 Timothy 2, verse 1 You therefore, my child, be strengthened in the grace that is in Christ Jesus. Verily, what do you worry about, if it is the full truth which has been revealed? John 21, verse 24 and 25 This is the disciple who testifies about these things, and wrote these things. We know that his witness is true. 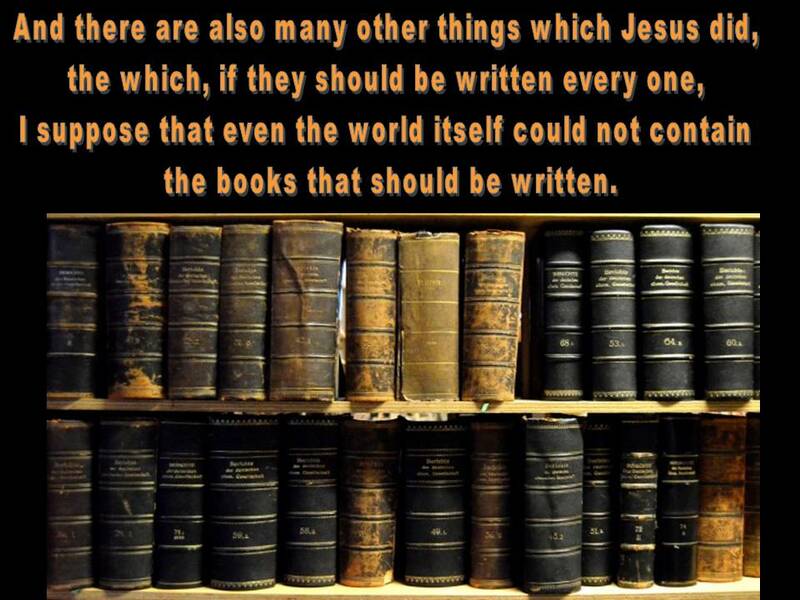 There are also many other things which Jesus did, which if they would all be written, I suppose that even the world itself wouldn’t have room for the books that would be written. This is the reason that not everything has been written down: because of your thinking pattern. It goes far, yes, far beyond your understanding! John 14, verse 12 Most certainly I tell you, he who believes in me, the works that I do, he will do also; and he will do greater works than these, because I am going to my Father. Verily, even greater things will you do, if you believe in Yeshua HaMashiach, Jesus Christ. Is this not a shock? Because if you knew how great Yeshua HaMashiach, Jesus Christ, is, then the earth would vibrate through your going to and fro, in the almighty name of Yeshua HaMashiach, Jesus Christ! And if God would suddenly bring His two witnesses before your eyes? Then what is your judgment, since it goes beyond your understanding? Acts 2, verse 19 to 21 I will show wonders in the sky above, and signs on the earth beneath; blood, and fire, and billows of smoke. The sun will be turned into darkness, and the moon into blood, before the great and glorious day of the Lord comes. It will be, that whoever will call on the name of the Lord will be saved. Verily, one will party and give each other gifts, when the two witnesses have been killed. 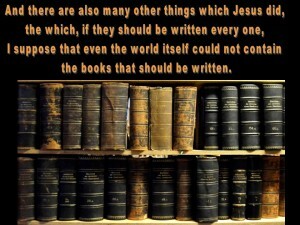 But o woe to those who condemned them because of the full truth, and the things that have been brought into the world! 2 Timothy 4, verse 2 to 5 Preach the word; be urgent in season and out of season; reprove, rebuke, and exhort, with all patience and teaching. 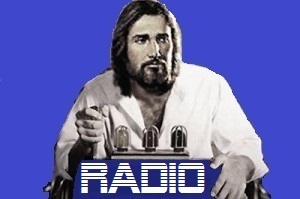 For the time will come when they will not listen to the sound doctrine, but, having itching ears, will heap up for themselves teachers after their own lusts; and will turn away their ears from the truth, and turn aside to fables. But you be sober in all things, suffer hardship, do the work of an evangelist, and fulfill your ministry. And Revelation 22, verse 16 I, Jesus, have sent my angel to testify these things to you for the assemblies. I am the root and the offspring of David; the Bright and Morning Star. This is not only for the church, but also for you who are listening. Amen! ⟵He was already old and his eyes were bad!